Update: We originally published this article in August 2016, when Google was still testing Google Posts. It has been updated as of June 23, 2017. Yesterday (June 22, 2017) Google announced the worldwide roll-out of Google Posts for local businesses with a Google My Business account. Note: not all categories of business will be able to participate in Posts right now. According to Mike Blumenthal, hotels and bed and breakfasts don't have access to Posts right now. 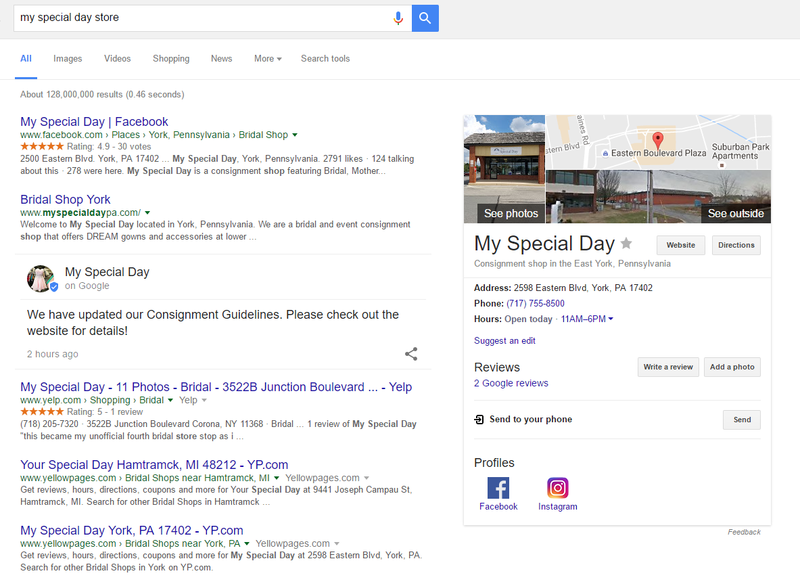 Originally labeled "Google local business cards," Google Posts look similar to a social media status or mini blog post. Your Post can be from 100-300 words and can contain an image, but the most exciting part about Posts is that they show up directly in the search results for your business. This gives you more control over what searchers see on Google when they find your business. Note: Google will only display the first 100 words of your Post. Searchers can read and share your Posts from your listing, which allows you to put the products, specials and services you want to highlight most in front of searchers as soon as they find your business online. You can use Google Posts to highlight current specials, give viewers a look at your products and services or even send them directly to a landing page where they could book an appointment or reservation! You can even add a date range to a Post for time-sensitive specials. Otherwise, the Post will have a shelf-life of a week, with up to 10 Posts showing at a time in your Google listing. To get started with Google Posts, you'll need to log into your Google My Business account and click/tap "Posts" from your listing. You can do this from desktop or Android and iOS apps. Read through the original article below for more information about Google Posts! 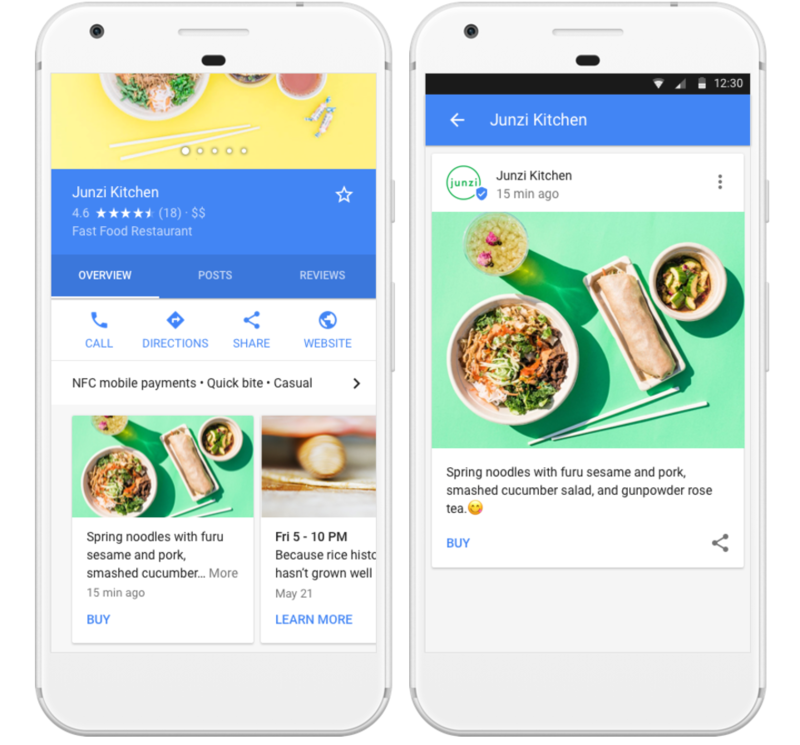 Google is once again changing the way local search results appear, with a major update that could affect local businesses in a huge way. Back in March, we wrote about Google’s test of Posts in search results. At the time, Google was testing Posts with a small number of local businesses. Google confirmed in a Hangout, however, that Posts will be rolled out to thousands of local businesses. I should mention that information about the expanded roll out of Google Posts is scarce right now. Mike Blumenthal says Google confirmed to him in a Google Hangout that the company would be expanding the test in the next month. Google Posts are blocks of information that appear in search results for certain searches. This allows businesses to post information, photos or updates directly in Google search results. Posts can contain a status update (similar to something you’d post on social media) or an image. Some appear as a carousel of images and text, and searchers can use right and left arrows to see more images or text. Posts also give searchers the option to share the information via email or social media. Because Posts appear directly in Google search results, they are extremely quick to load. Businesses also have control of the information they post directly to the search results, making Posts an extremely valuable digital marketing tactic. 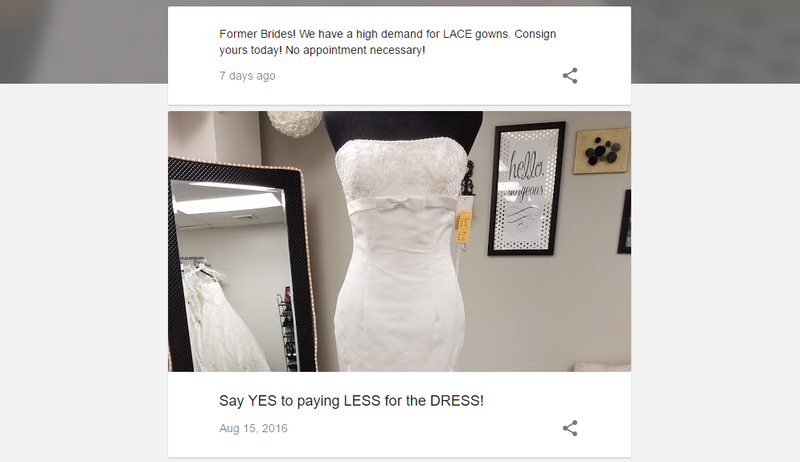 For example, bridal consignment shop My Special Day uses Posts to post updates about new gowns directly to search results. As you see in the image, Posts are made to be shared across email and social media, augmenting your business's social media strategy by allowing you to post content that is easy to share. For now, Posts are rolling out in the US, Brazil and India. According to Mike Blumenthal, they show up in branded searches (searches for the business’s name) rather than industry or location specific searches. Why Are Google Posts Rolling Out Now? The March test of Google Posts seems to have gone well, and Google must have received good feedback from the businesses in the test. Otherwise, Google wouldn’t be expanding the option to post directly to search results to other businesses. What Do Google Posts Mean for Local Search? When the initial test of Posts was launched in March, local search experts were speculating that this could kill local SEO, but it will take more than just a test of Posts to take down local search. 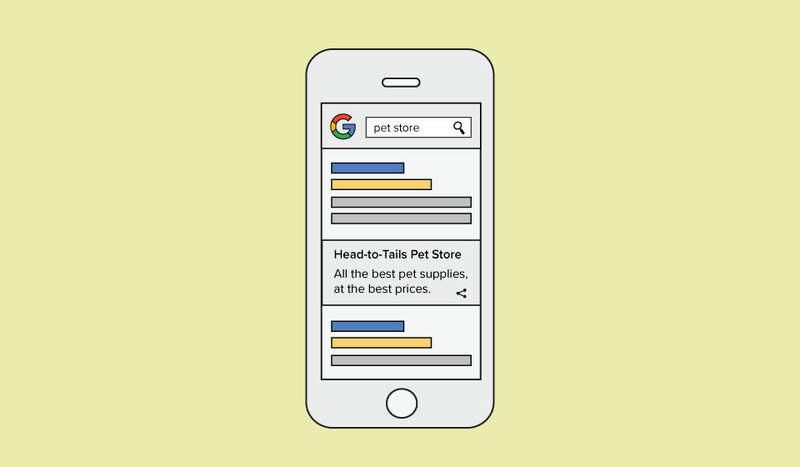 While this could be huge for the businesses that use it, giving them the option to communicate with searchers directly in search results, your local search marketing strategy is just as important as ever. Even if you do use Posts, you will still want to make sure your information such as NAP (name, address and phone number) is consistent across directories and place pages, since consumers will need to know how to find your business after reading your cards. As you see in the below image, the Post displays within search results, but on the right, the graph shows contact information as well as business hours and a link to read the business's reviews. This means Posts can work in conjunction with your local search efforts to create content that is made to be shared and get local consumers into your business. What Do Google Posts Mean for Local Businesses? It is more important than ever that local businesses stay current on search updates and trends. This could be a game changer for businesses, since they can post updates (such as new product information or weekly specials) directly to Google search results. This will make it easier than ever for a local consumer to find all the information they need about your business without ever having to leave the search results page. RevLocal Director of Client Strategy, David Jackson, stressed the importance of local businesses creating an adaptable local search marketing strategy in order to thrive in today's ever-changing digital world. This is an exciting opportunity to create custom content and bring additional visibility to your business online such as upcoming events, promotions or special offers. The complex and ever changing nature of local search marketing requires an ongoing strategy if you want to engage and influence your local audience. Though we can't say for certain, it looks like your Google My Business account will have to be verified and linked to your Google Posts page. According to the Google Posts homepage, verified individuals and organizations can now communicate with text, images and videos directly on Google. This is great news for RevLocal clients, as we make sure our clients' Google My Business pages are verified and optimized for local searches. That means you're one step closer to having custom content of your own posted directly to Google search results as a RevLocal customer. For more information about Google Posts, please contact your Marketing Strategist today.